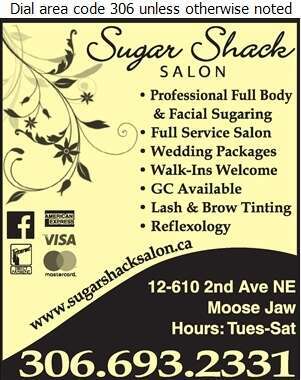 At Sugar Shack, we are Moose Jaw's one-stop salon for all your beauty needs. Our professional stylists and sugarists offer services for the whole family. The friendly and professional staff will pamper you with the ultimate treatment. You can choose from our full service salon, body and facial sugaring, lash and brow tinting. For those out of the ordinary events in your life, Sugar Shack offers wedding and special occasion packages. 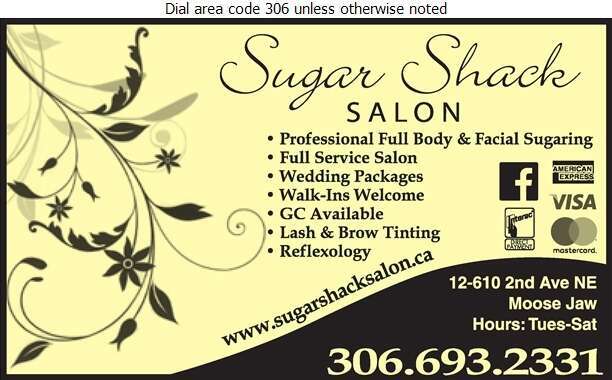 At Sugar Shack, we want you to relax and enjoy all of our services! Book your appointment today!